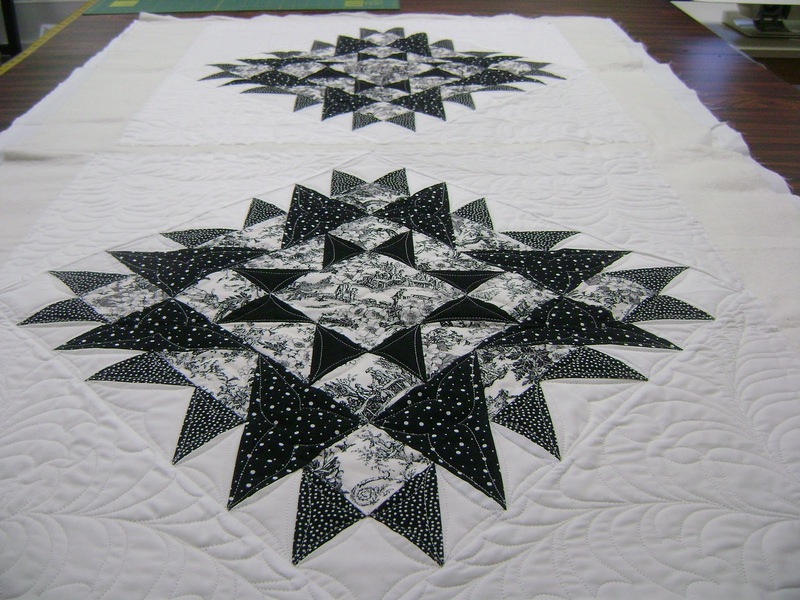 I’m in what is called the holiday rush to get the last of the quilts finished for the year. 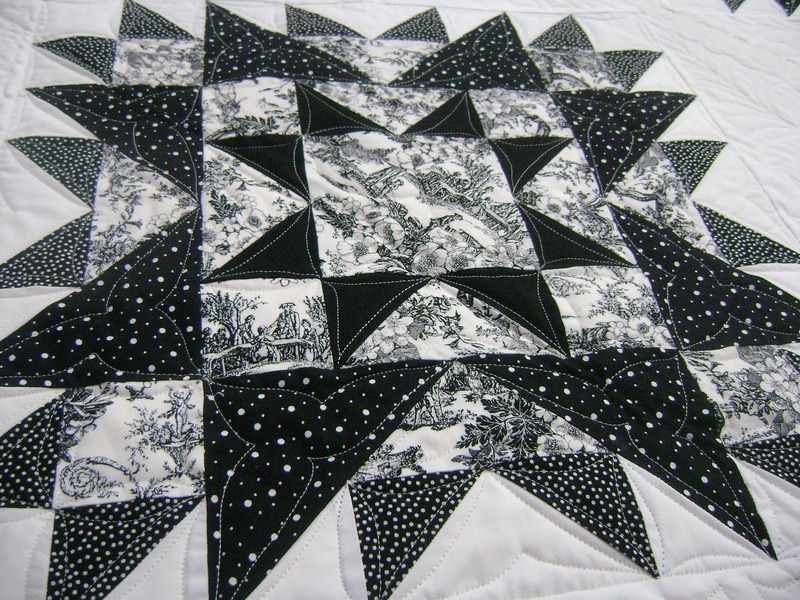 I wanted to have all the quilts finished by the first of November so I could do some things for myself before Christmas. Needless to say, I have missed my own deadline. Well, hopefully I can get most of it done this week and still have some time for my own work. Same design on the setting triangles. Same line dancing on the pieced squares. 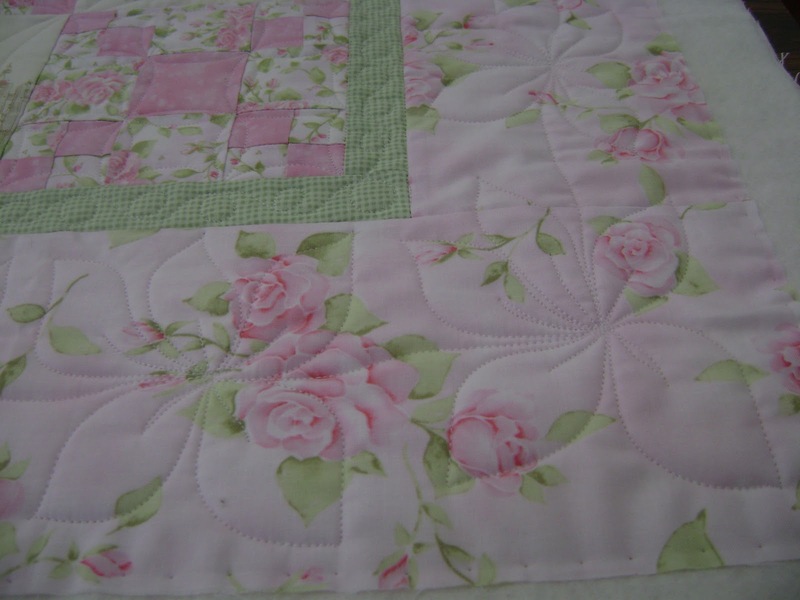 Then I quilted this quilt. 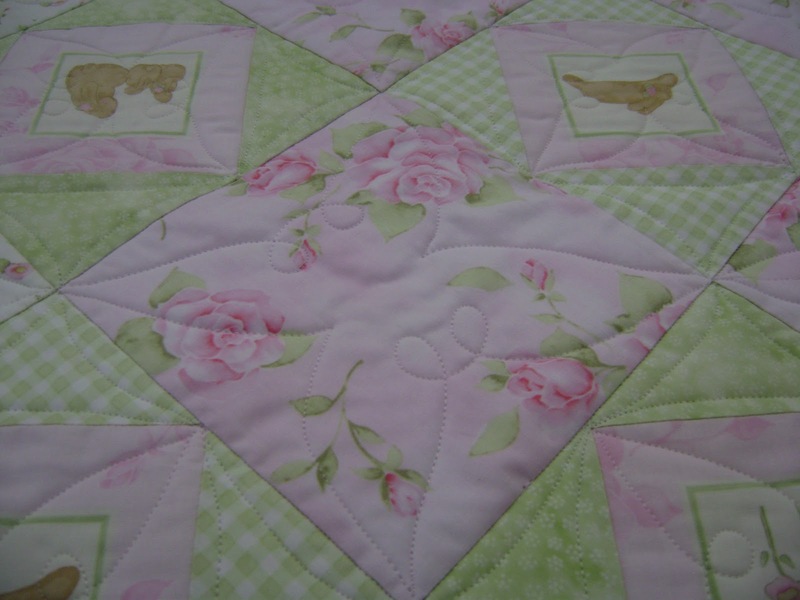 The owner likes very minimal quilting. 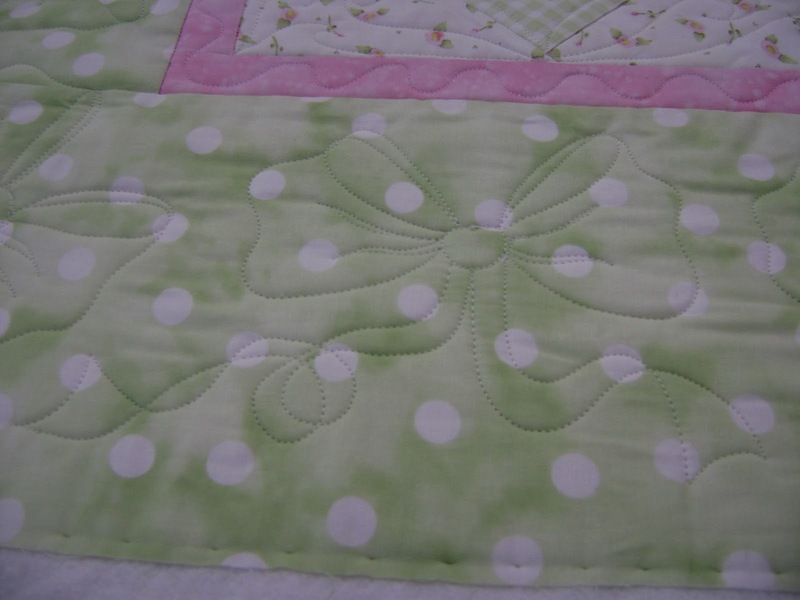 I did bows on the outside border and a simple wavy line on the inside border. 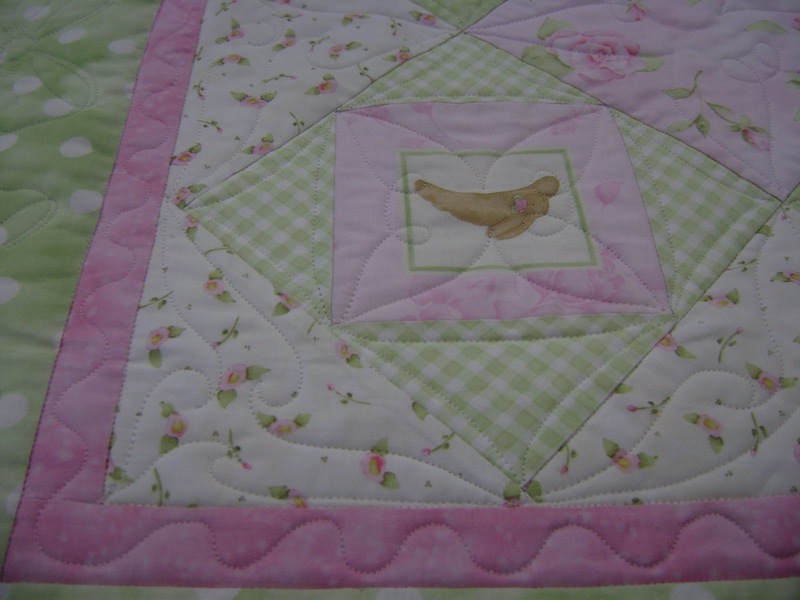 Flutterbys on the pieced squares and line dancing around them. Larger flutterbys on the solid squares. 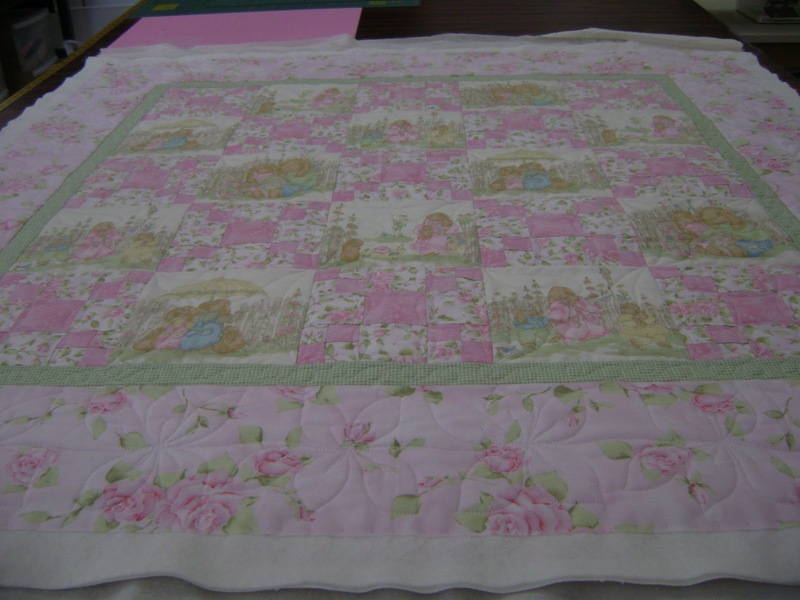 Next I finished this quilt. 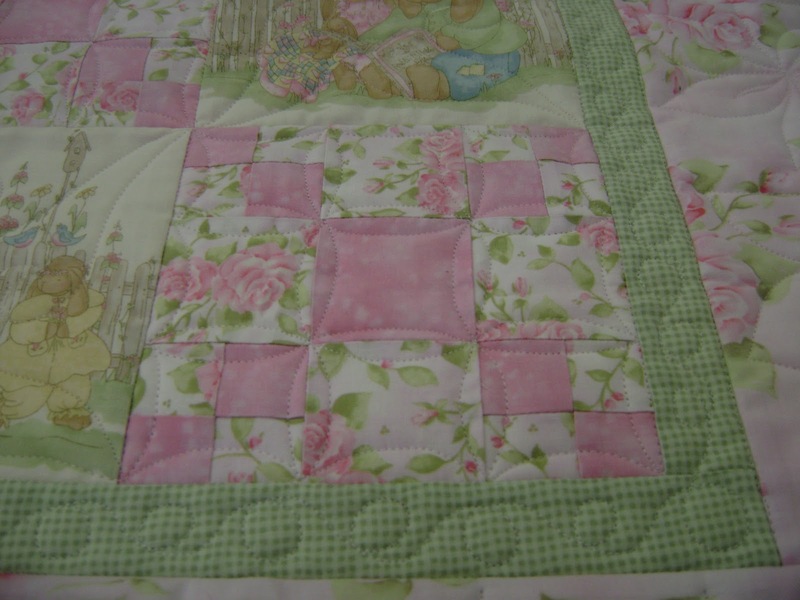 Again, lightly quilted designs. 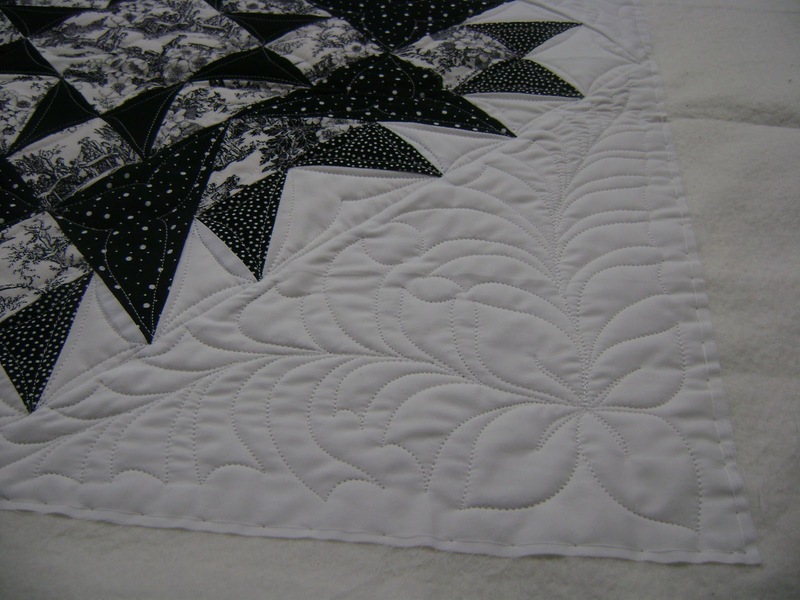 Flowers on the outside border and a loop design on the inside border. More of the line dancing. I have three more tops to quilt (large ones), two pillow tops to quilt, and two memory quilts to get pieced before quilting them. 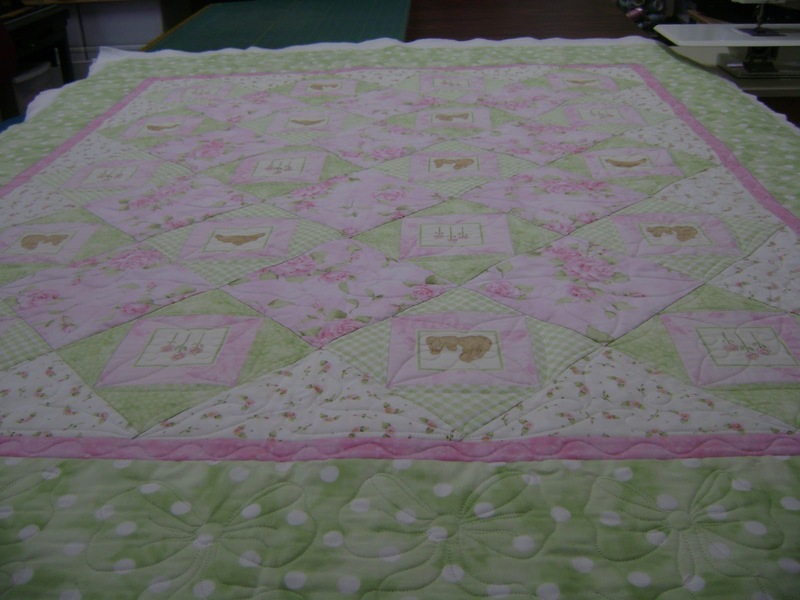 My goal is to get the rest of tops quilted this week. I’m hoping to piece the memory quilts as well. After I get approval on the memory tops I can get those quilted. WOW. busy lady. quilts look excellent. Sure you will have all of them done in no time. 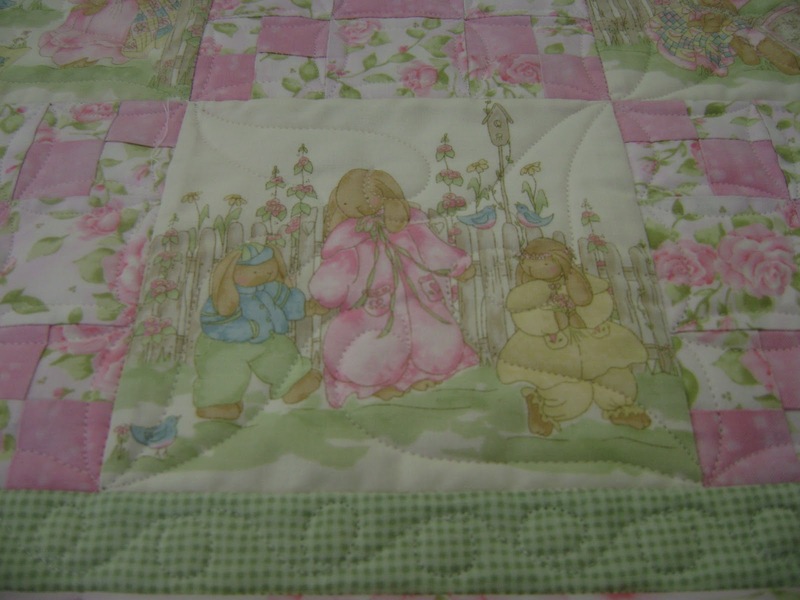 This entry was posted on November 1, 2010 by Anita in Customer quilts 2010.